I used to be scared to death of the dead. More specifically, the scary movie genre people group under the “entertainment” realm used to really freak me out. Especially if watched at night, I’d have a hard time falling asleep, concerned I might not wake up again after a zombie feasted on me. It wasn’t until I was in my 20s that I learned there is an entire genre dedicated to this type of film, many of them with zombies running (read: walking) around. The walking dead were something I fortunately got used to, thanks to my buddy, Taylor. T loved these movies and introduced me to the finest apocalyptic films that have graced the silver screen (or went straight to DVD) from the comfort of our Beijing living room. A classic example of getting over fears, the best way I know how: face it, deal with it, move on. My favorite movie genre falls somewhere in between romantic comedies and action flicks. I get misty-eyed when love reigns over all and pump my first with exuberance when good triumphs over evil. 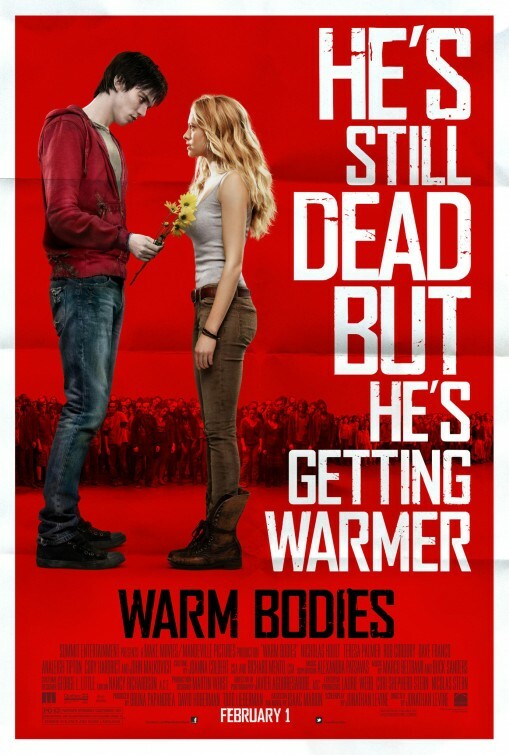 In sharing about a movie I saw recently, “Warm Bodies,” the point is not that it is an apocal-action-romcom, rather, it was the theme of communication and mutual understanding that surfaced out of the conflict between “the regular people” and the corpses. From the opening scene you realize the movie is from a unique perspective – the zombie’s. The living dead, at least in this guy’s case, have much more complicated thoughts than their outward appearance would suggest. Already with a desire for something more, our new friend, R, finds himself at a turning point when he starts to feel something ever so subtle in his heart, and realizes it’s because he’s somehow falling for Julie. Every day most of us pass over or pass-by that which takes up too much time. We make assumptions that often support what we already know, believe, fear, love, etc. How often are we willing to stretch ourselves past what has become our “norm”? R saw something special in Julie (big deal she was alive and he had just feasted on her boyfriend’s brains). And Julie, after a bit of convincing, saw the same in R (it can’t be love-at-first-sight for everyone). Persistence, a calm demeanor, and time made this love happen. And it just happened to save the world. This made me wonder, how we can each do more of this in our lives? Listen, I get it, it’s easy to be persistent when you don’t have much to do. It must be easier to be calm when you don’t have much of a pulse. And it almost goes without saying that time is one of our scarcest commodities. But what would it take for us to more frequently take a chance on finding something amazing in a place so unexpected? Also including the link to Warm Bodies on IMDB in case the original movie website link above … dies. I like how warmbodiesmovie.com immediately loads the first four minutes of the movie where you get a good feel for R’s character. Any favorite movie quotes?